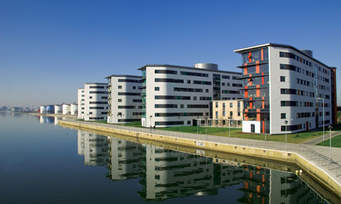 The fully residential campus of Birla Institute of Management Technology (BIMTECH) located in National Capital Region, provides a highly conducive academic environment, interaction with hard working and industry-academia mix professors, proximity to the strategy makers of the industry and practitioners of the service and manufacturing companies, exposure to the international universities and companies, and a ready profile of strong alumni base spread through out the world. 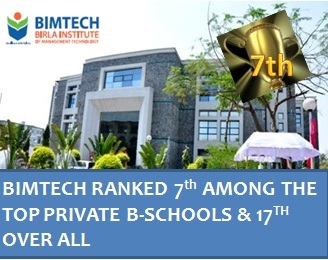 BIMTECH is mini India in its formation every year. It has students coming almost from all the states of India, and also from few foreign countries. Its mix of nationalities, cultural backgrounds, academic and professional experiences make BIMTECH one of the most exciting and enriching business schools in the country. Its long belief to prepare global managers who have cross cultural training has become a practice of the globe today. India is indicating for strong economy and DELHI (National Capital Region) is the trigger of this growth. The industrial and economic policies framed here, industrial associations meet, and CEOs evenings are all realities here and not media news. This is also one of the cultural convergence centres of India for both national and international. A location of such importance is always an asset for exposure to the real life learning and developing national and global networking. You are very well in reach; Greater Noida is hardly few miles away.